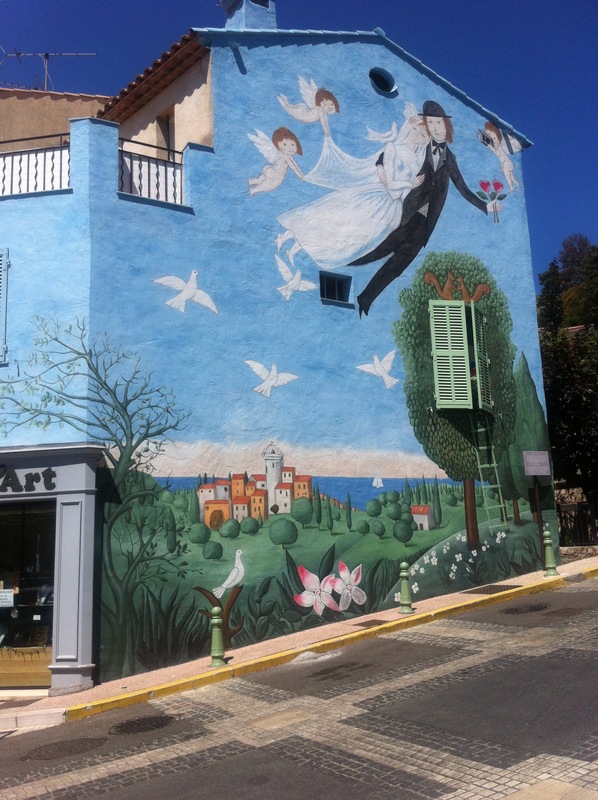 In 1990, Raymond Peynet co-created with fresco painter Guy Ceppa a fresco on the façade of an old house, “Le mur des amoureux de Peynet” (the wall of lovers by Peynet). An inevitable stop for newly-weds, a symbol of the joy of living, and represents a united couple flying over the Garden of Eden. Peynet’s lovers in various scenes have been printed and transferred on to many scarves, porcelain objects, in fact almost every type of decorative object. This is probably their largest depiction and it is kept in pristine order. An honorary citizen of Le Cannet, Raymond Peynet passed away at the age of 90 on the 14th of January, 1999… one month before Valentine’s day!